Environment in the Public Interest is a 501(c)(3), nonprofit environmental watchdog dedicated to enforcement of water quality, watershed, and marine protection in Central Coast Counties. Since 2002 EPI has been a consistent voice for environmental change taking the necessary action to protect the coast and waterways throughout the region. STORMWATER – to prevent & reduce stormwater pollution: In addition to participating in the MS4 permitting process throughout the region, we successfully litigated the adequacy of San Luis Obispo County's Illicit Discharge Ordinance as well as litigation against UC Santa Cruz to enforce stormwater management plans on campus. AGRICULTURAL RUNOFF - to reduce pollution & support sustainable agricultural water use: In partnership with our sister Coastkeeper organizations in Monterey and Santa Barbara, we have participated in the Region 3 Water Board's irrigated ag discharge permit process. Currently the 3 organizations have appealed the latest Regional Board permit waiver arguing for greater protection of ocean and upland water from ag runoff. ENERGY – to reduce water use and promote low green house gas technologies: SLO Coastkeeper has provided consulting services to local groups on inland oil drilling projects and large-scale solar plant proposals. Currently we are reviewing a wave energy proposal off the San Luis Obispo coast and the environmental documents for a solar ranch proposal adjacent to the Carrizo Plains National Monument. WATER SUPPLY & STREAM FLOW – to ensure sustainable water supplies to support healthy waterways: SLO Coastkeeper was a party to California Coastkeeper Alliance litigation with the Department of Fish and Game over the Department's responsibilities to conduct Stream Flow Analysis. We are currently addressing issues of stream flow in the Cuyama, Salinas, and Santa Maria Rivers as well as the Regional Board's Basin Plan update. MARINE HABITATS – to enforce protection of marine and near-shore biodiversity: EPI participated as a member of the DFG Central Coast MPA Stakeholders group formulating the first MPA network as part of the Departments current MLPA implementation effort. In addition EPI has partnered with local and Statewide efforts to end septic tank discharge contamination of Morro Bay National Estuary; phase out Once Through Cooling at coastal power plants; and minimize dredging project impacts at Santa Cruz harbor, Morro Bay, and Port San Luis. Currently EPI is providing scientific analysis of risk/benefit of a proposed "wrecks-to-reefs" sinking of decommissioned naval vessels at Estero Bay. WATERSHED ECOSYSTEMS – to improve watershed health and water quality at the land/sea interface: Current EPI projects include monitoring of a mitigation/restoration of a coastal stream segment in San Simeon; determination and mapping of barriers impacting the ability of the Santa Maria River, Pismo Creek, Big Sur River, and the San Lorenzo River to support the passage of anadromous fish; and advocating maximum enforcement of regulations protecting species throughout the coastal watersheds of the region. C. Government and People (GAP) - our civic engagement initiative Our organization provides educational and training services to groups and individuals seeking to participate in government decisions affecting the environment and public trust resources. We believe increased public participation in agency decisions will improve environmental protection and quality of life issues. To engage and inform groups and individuals we partner with, EPI produces a weekly ALERT regarding agency and permit issues affecting water, land use and quality of life on the California Central Coast. Recipients of the ALERT include individual subscribers, and environmental groups. In addition through our epic805 program, we are involving citizens in a collaborative problem-solving relationship with environmental enforcement agencies. EPI Executive Director, Gordon Hensley, is a Central Coast native and respected environmental professional. He obtained a Master's Degree in Ecology and Systematic Biology from California Polytechnic State University; is a recipient of Environment Now's 2006 Coastal Protection Achievement Award; sits on the Advisory Committee for the Natural Resources Management Department at Cal Poly SLO; and is a recognized leader in the local environmental community. 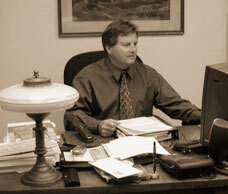 Mr. Hensley has worked on environmental issues and biological studies throughout the California Central Coast. Successful efforts have included serving as the SLO County environmental representative on DFG's Regional Stakeholders Group resulting in the establishment of the Central Coast Network of Marine Protected Areas, as well as programs to improve citizen participation in public trust resource protection. EPIC 805: Enhancing environmental protection through community engagement and technology, EPIC805 is an environmental crowdsourcing project that identifies, reports, tracks and maps environmental and health harms. Get the APP: Swim Guide: Swim Guide is built and powered by Waterkeepers to connect you to beaches and swimming holes everywhere. Living in America (LIA): LIA is a civic engagement program assisting Latino residents improve the quality of life, build healthy and safe communities in harmony with the Central Coast environment. Habitat and Watershed Caretakers (HAWC): HAWC is EPI's local presence in Santa Cruz. Our major efforts have been the protection of the San Lorenzo River watershed and the biodiversity it supports. Internships: EPI offers Program and Policy internships geared toward Junior, Senior, and Graduate Students wishing to pursue careers in field biology, planning, environmental law, advocacy, or consulting. Interns assist in technical analysis and preparation of public comment on a variety of conservation issues.